The Edinburgh International Film Festival has announced that England is Mine will close the 71st edition of the Festival on Sunday, July 2, 2017 at Festival Theatre, Edinburgh. 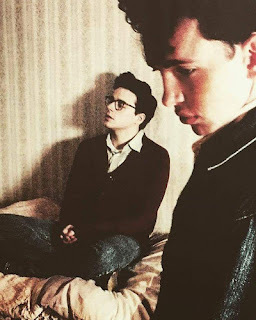 Culminating in his first meeting with Johnny Marr, England is Mine, is a feature length biopic based on the early life of Morrissey, the outspoken former lead singer of seminal British band The Smiths. The film is directed by Academy Award® and BAFTA Award nominee Mark Gill (The Voorman Problem) and produced by Baldwin Li (The Voorman Problem) and Orian Williams (Control). Key cast will be in attendance on Closing night.